I have only a few days left before flying to California. I haven’t seen Gary in about 6 weeks! I made a long list of things to do and I have been working steadily since he left. Now I am down to the last few projects. Our kitchen cabinets are from KraftMaid. I bought them about 18 years ago and forgot they had a lifetime warranty. I called KraftMaid recently to ask how I might repair two drawers and they sent me new ones! The only problem was I had to attach the drawer box to the decorative drawer front. It took a bunch of hours but I did it! I prepped a stew to cook while I was working. 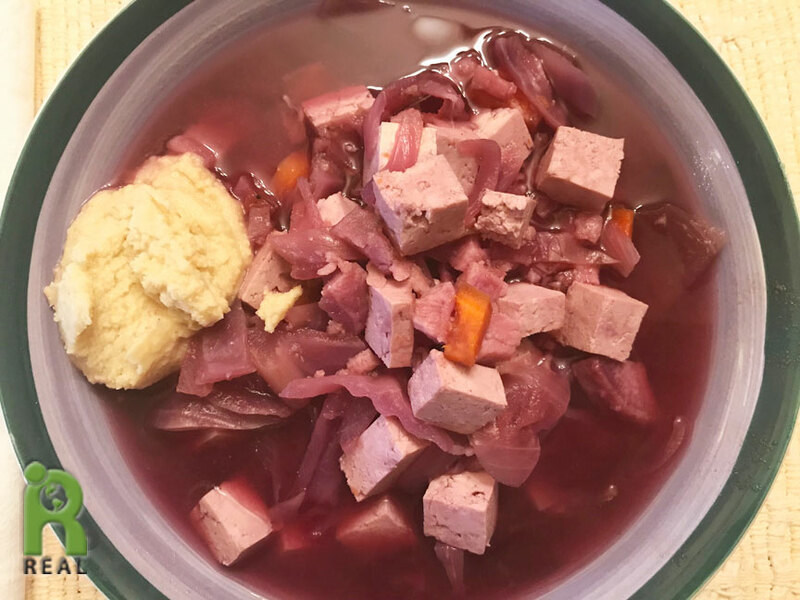 It was so delicious made with organic Orange and Purple Sweet Potatoes, organic Red Onions, organic Carrots and organic Tofu. Only five ingredients plus water and it’s so good. I served up one big bowl topped with Almond Ricotta and a few hours later went back for more. Articles for the kitchen are appropriate to share in a blog about food, in my opinion. 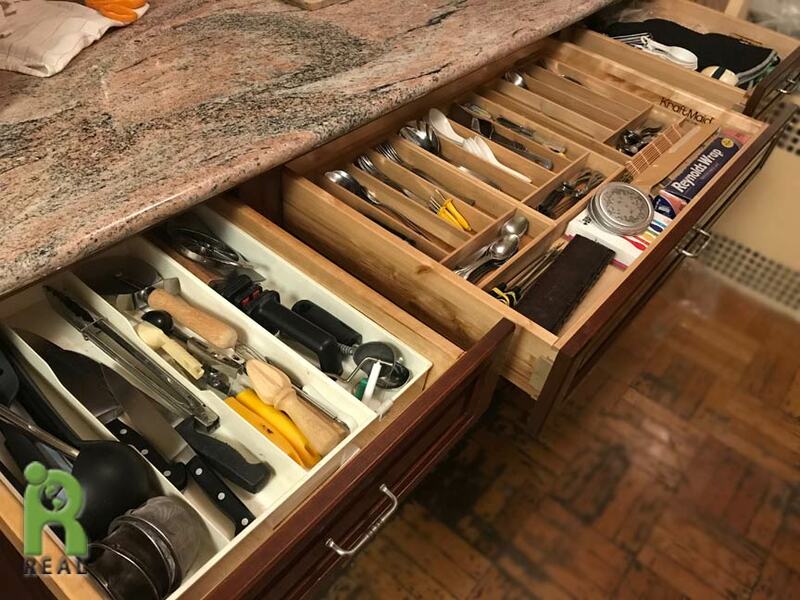 After I replaced the two drawers I wanted them to be as beautiful inside as out. I ran out to a local store and bought three bamboo flatware boxes. I rearranged all three top drawers and now everything has its place. Third Meal: Despite working on all my projects I took the time to eat well. 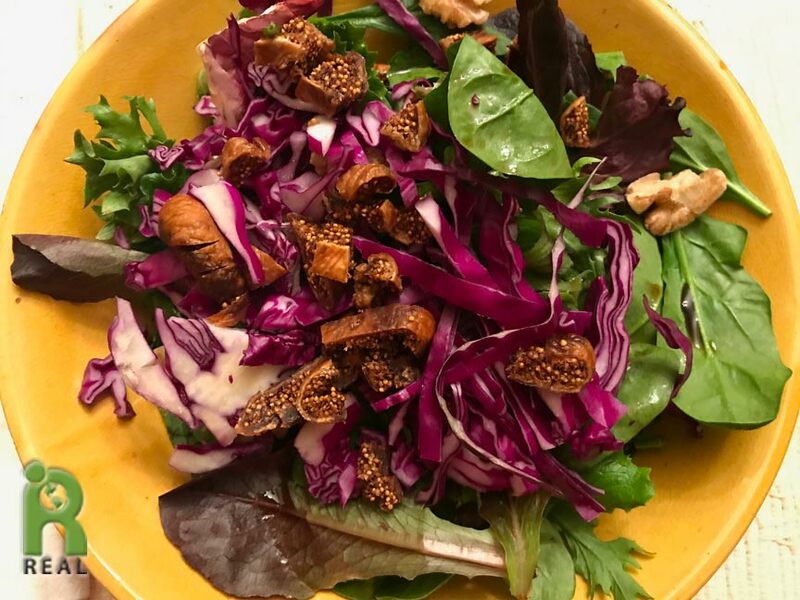 I made this gorgeous salad with organic Power Greens, organic Red Cabbage, organic Figs, organic Walnuts and organic Balsamic Dressing. 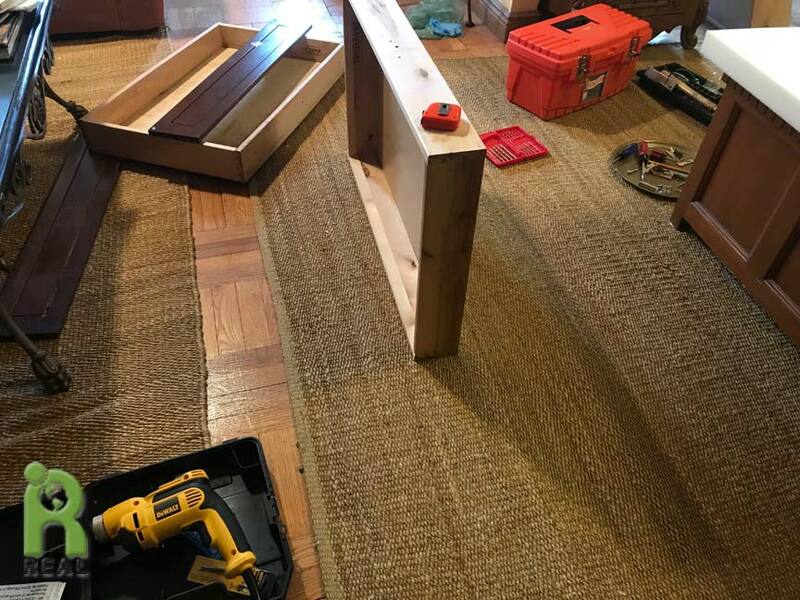 After the drawers, I made a bench cushion cover for the kitchen. 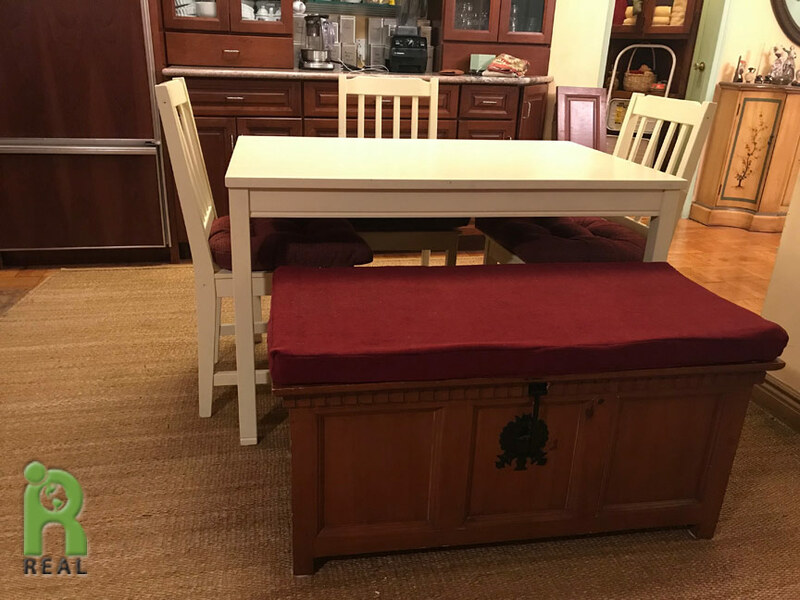 One of my projects was to paint a table and chairs for the kitchen and then cover a hope chest with a cushion to go with it. I finished everything! I would love to know what you used to cover that hope chest. I have one as well and covering it the way you did could make it a little more useful. I had some of this lightweight, multipurpose decor fabric leftover from another project: https://www.joann.com/upholstery-fabric-richloom-jerome-spice/8653883.html. I bought the foam cushion from the Foam Factory: https://www.thefoamfactory.com/. I made the cover following the instructions in this video: https://www.youtube.com/watch?v=LZWDKOZYPEw. I am very happy with how it turned out! We have tablecloths and cloth napkins in our hope chest so it’s convenient in the kitchen.